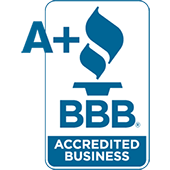 Jerry Harris is a BBB Accredited Business with an A+ Rating. 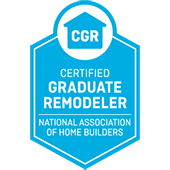 Jerry Harris is a Certified Graduate Remodeler by the National Association of Home Builders. Jerry Harris Remodeling is dedicated to its craft and to providing its clients with superior service and workmanship, as demonstrated by JHR’s commitment to continuing education. 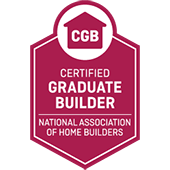 Jerry Harris is a Certified Graduate Builder by the National Association of Home Builders. In continuously seeking education and training, JHR demonstrates its commitment to always improve the client experience and satisfaction. 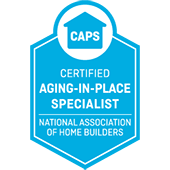 Jerry Harris is a Certified Aging-in-Place Specialist by the National Association of Home Builders, and uses this designation to make the home more accessible for our clients’ current and future needs as well as more “visitable” for their family members and guests who have accessibility needs. Jerry Harris is a member of the National Association of Home Builders. 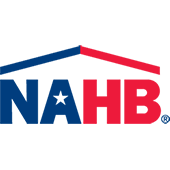 NAHB strives to protect the American Dream of housing opportunities for all, while working to achieve professional success for its members who build communities, create jobs and strengthen our economy. 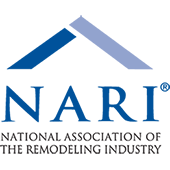 Jerry Harris is a member of the National Association of the Remodeling Industry. NARI connects homeowners with its professional members and provides tips and tricks so that the consumer has a positive remodeling experience. Jerry Harris is your Pella® Certified Contractor for South Hampton Roads. Pella offers high quality replacement windows and doors made from wood, fiberglass, and vinyl. Jerry Harris is your local Waypoint Living Spaces Cabinetry dealer. Through Waypoint, we bring you superior custom cabinetry, with a solid wood cabinet featuring dove tail joints and soft close doors and drawers. Jerry Harris Remodeling partners with James Hardie to bring you high-performancing and long lasting fiber cement siding, trim, backer board and more. Jerry Harris is your Velux Skylight and Suntunnel installer for South Hampton Roads. Velux, offering the highest quality skylights and accessories to bring the most light into your home. Velux installs are covered by Velux’s 10-Year No Leak Guarantee.